Almost half of UK bosses admit they’ve felt forced to compromise their own health and wellbeing as a result of pressure at work, new research from Vistage has claimed. 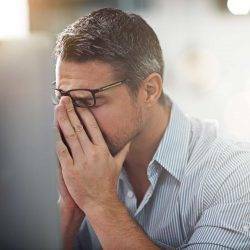 According to the study, 40 percent of business leaders say the demands of work have caused stress in their personal lives, while nearly a third say they frequently have to work through illness rather than taking the time they need to recover. While a quarter of business leaders say they’ve sought outside help to strike a better balance between their work and personal life, many more are choosing to suffer on in silence while their health and relationships suffer. The survey found that just 12 percent of bosses saying they will always prioritise their health and well-being over their work. Despite the pressure many bosses feel to put work first, senior managers are though highly attuned to the importance of diet and exercise. Speaking on the findings, Geoff Lawrence, general manager at Vistage, said: “Being a boss can mean having to put your body on the line from time-to-time, but there’s a fine line between making sacrifices and becoming a martyr to the cause. “Finding the right balance can be difficult for business leaders, particularly those who might have built their business from the ground up. They want to do everything, be everywhere, and be involved in every decision, but almost inevitably that type of approach ends in a crash. Nearly half (49 percent) of respondents did however follow a balanced diet to stay trim, with 38 percent saying that healthier eating habits have helped to perform better at work. But more than one in five (22 percent) admit their work schedule means it can be difficult to maintain a balanced diet, while 14 percent say stress at work has led to them gaining weight. Andrew Marsh adds: “Speaking from experience, executives remain in stressful, high-intensive situations because they tell themselves they have to be strong and show no vulnerability, often to the detriment of personal relationships and wellbeing.